Barry Engle was head of Ford of Canada in 2008. 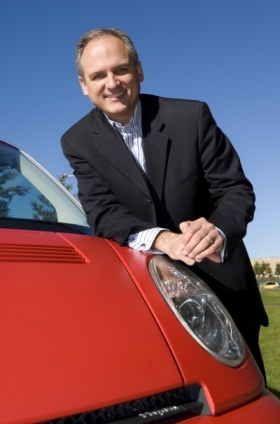 Electric car maker Think has named former Fiat Group and Ford Motor Co. executive Barry Engle its new CEO. Engle becomes the third CEO of the Norwegian brand in the less than two years. He replaces Richard Canny, who has been named vice chairman of Think North America. Engle comes to Think from Fiat subsidiary New Holland Agricultural Equipment, where he was president and CEO for nearly two years. Prior to that he held a number of senior positions with Ford including Ford of Canada CEO and Ford of Brazil & Mercosul president. Canny returns to the United States to support Think's development there. The automaker will start selling its City full-electric minicar in the United States at the end of this year and start production of the City at a factory in Indiana starting in early 2011. Canny also will be responsible for creating new strategic alliances at the automaker.